One objective of this tutorial is to provide an overview of fundamental concepts and findings concerning human information processing. Another is to relate contemporary knowledge of human information processing to issues of relevance to HCI. HCI is fundamentally an information-processing task. The human information-processing approach is based on the idea that human performance, from displayed information to a response, is a function of several distinct processes. The nature of these processes, how they are arranged, and the factors that influence how quickly and accurately a particular process operates, can be discovered through appropriate research methods. Because information-processing analyses are used in HCI in several ways, it is beneficial to be familiar with basics of the approach and specific applications to HCI. Basic facts and theories about information-processing capabilities are taken into consideration when designing interfaces and tasks. The first part of this tutorial will review classic and recent findings on such topics as attention, memory, decision-making, and action selection, and discuss their relevance for HCI. Information-processing methods are used in HCI to conduct empirical studies evaluating the cognitive requirements of various tasks in which a human uses a computer. The second part of the tutorial will describe recent developments in empirical methods for studying human information processing, and provide examples of how they can be applied to HCI. This tutorial is geared toward human factors and HCI professionals who do not have much background in human information processing or for those who want a refresher course concerning basic principles of human information processing, recent developments in the area, and what it has to offer HCI. It should be of interest to computer scientists, industrial designers, and engineers who want to improve their designs by incorporating information-processing analyses. Kim-Phuong L. Vu is Professor of Psychology at California State University, Long Beach. She is Associate Director of the Center for Usability in Design and Accessibility and of the Center for Human Factors in Advanced Aeronautics Technologies at CSULB. Dr. Vu has over 100 publications in areas relating to human performance, human factors, and human-computer interaction. She is co-author of the book Stimulus-Response Compatibility Principles: Data, Theory, and Application and co-editor of the Handbook of Human Factors in Web Design (2nd ed.). Dr. 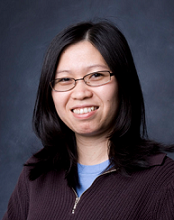 Vu was the recipient of the 2009 Earl A. Alluisi Award for Early Career Contributions of Division 21 (Applied Experimental and Engineering Psychology) of the American Psychological Association. 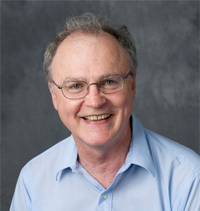 Robert W. Proctor is Distinguished Professor of Psychological Sciences at Purdue University, with a courtesy appointment in the School of Industrial Engineering. Dr. Proctor teaches courses in Human Factors in Engineering, Human Information Processing, Attention, and Perception and Action. He is faculty advisor of the Purdue Student Chapter of the Human Factors and Ergonomics Society. Dr. Proctor's research focuses on basic and applied aspects of human performance. He has published over 200 articles on human performance and is co-author the books Human Factors in Simple and Complex Systems, Skill Acquisition and Human Performance, Stimulus-Response Compatibility Principles: Data, Theory, and Application, and Attention: Theory and Practice. He is Fellow of the American Psychological Association and the Association for Psychological Science, and an Honorary Fellow of the Human Factors and Ergonomics Society.